One owner, no accident Car Fax Report, and a Southern Vehicle its whole life. 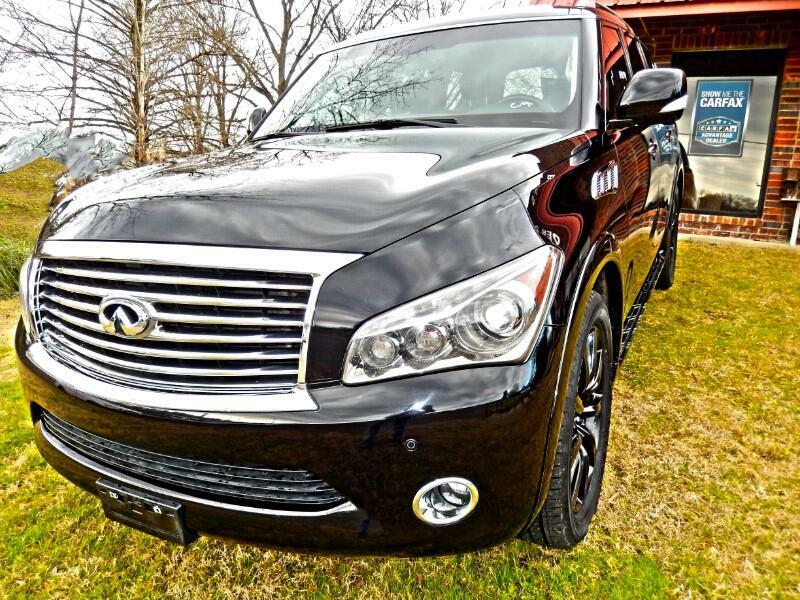 This Infinity QX56 is in exceptional condition, and I will rate it near perfect condition. When a vehicle gets over five years old only 2% will be in above average condition, as this one is. No dents, do dings, no stains, no scuffs, and a non smokers vehicle as well. Nicely equipped with the with all the options, sunroof, alloy wheels, steering wheel controls, blue tooth, power seat, luggage rack, leather, rear bucket seats, navigation, DVD, and more. Sure you can find others claiming to be less money, the internet is full of them, and they have the greatest deal on earth, only to travel 400 miles and discover its not what they said. I hear this two to three times a month, customers driving long distances, and wasted a day because they believed what they were told, CONDITION means everything. For a complete car fax history go to barberautosales.com Hand picked by Joel Barber, 35 years of buying vehicles. Trade-ins welcome, you will be surprised on the value of yours, nothing to lose, all to gain. To get a idea of the condition look at the detail pictures, for a better idea of the condition. For more photos go to barbersautosales.com Founded in 2005 by Rankin residents Joel and Pat Barber. Barber's established a no- nonsense, easy way to buy high quality vehicles. We find the best above average vehicles, research history, recondition to the highest standard, add a free warranty to everyone, and market it at a fair price. When you call or visit us, you will always deal with a decision maker, never be pressured to buy and never pay any additional fees, on the spot appraisal of your vehicle, should you decide to trade. Joel Barber's 35 years, and previous owner of three different new car Franchises, earns him the reputation of being one of the most knowledgeable Automobile experts in the business, and don't mind sharing this knowledge. Barber's promise to you, 1. Our best selling price up front 2. trade appraisal 3. monthly payments, all in 15 minutes or less, something you don't see any more. For more information go to barbersautosales.com.